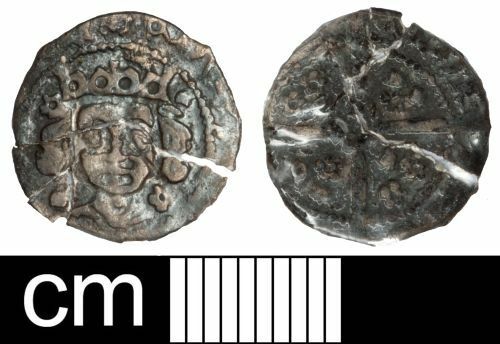 Medieval Irish silver penny of Edward IV (1461-1483), bust with suns and roses coinage, type I, minted at Dublin, AD 1478-1483, Spink 6394. Like most examples of this issue the coin is badly clipped. The coin has broken into five pieces. It is currently held together by tape and the weight includes this.